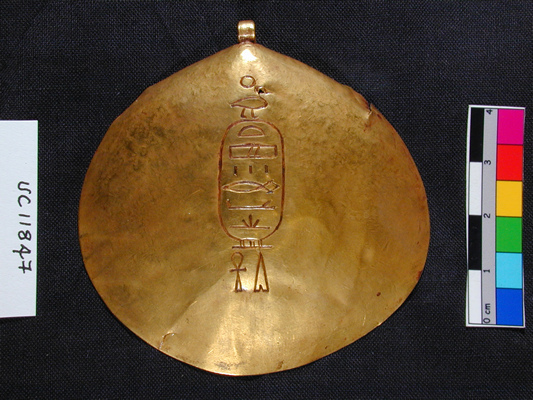 UC 11848 - inscription on golden shell (attribution to this king is not certain). The piece may not be ancient. Ryholt 1997: 397 - 398 (file 17/8).